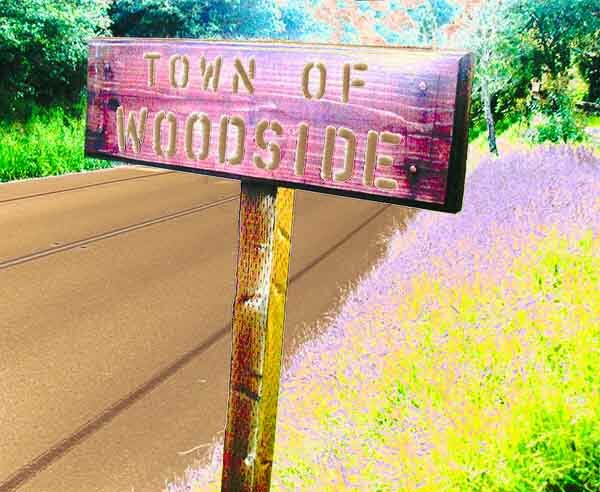 There is so much to say about Woodside from its early days of logging, taking the redwoods down off of the ridge and stopping in town for a snack before proceeding off to Redwood City or other places. Not much has changed, except now we like to switch between the horse and this new thing called a bicycle! But whether you live there or just passing through we all love to hang out at Roberts, The Bakery, and Bucks. Lots of people think that nobody lives in Woodside that rides a bike, only people passing through, but that is far from the truth. This club and the look of the Clothing is all about, from, and for, Woodside. The emblem was a tribute to the history of Woodside and when I designed it the two horses where just that, two horses. They had no names but only an image. There is an expression in Aspen on the Daily Newspaper “ if you don’t want it printed don’t let it happen". Well, my expression is “If you want it to happen, print it". So, almost two years after the jersey was made the two horses appeared. They live in Woodside and their names are Kid and Twister.